The ‘Dialogue Book’ launch hosted Bob Blackman MP, at the House of Commons, British Parliament today saw a huge gathering of over 500 enthusiastic invitees. 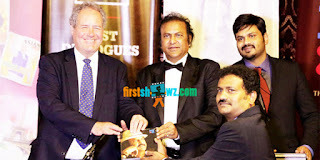 The event marked the release of the book on ‘Best Dialogues’ by Mohan Babu from his Telugu Movies. The event saw many high profile individuals in attendance including Veerendra Sharma MP (British Parliament) and many officials from the Indian High Commission. The veteran actor, Mohan Babu, is known in the Telugu film fraternity and among his many Telugu fans as ‘Collection King’ and ‘Dialogue King’. He had earned these titles for his record breaking collections and distinct style of dialogue delivery. 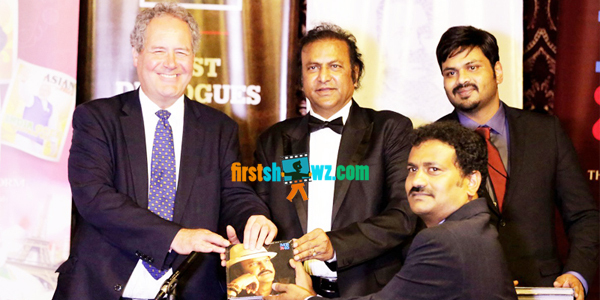 On the occasion of his completion of 40 years in the film industry, this book launch event was held, making it the first ever such commemoration of a former Member of Parliament of a foreign country in the House of Commons, British Parliament. The event began with Mohan Babu presenting exclusive paintings by Ramesh Gorijala to the two MPs, Bob Blackman and Veereandra Sharma. The actor also read out a few dialogues from his ‘Dialogue Book’ that was received with great appreciation by the audience. Lakshmi Manchu in her eloquent speech which was followed by Manoj Manchu’s imitation of his father that left the audience in splits. On the request of his other son, Vishnu Manchu, Mohan Babu finally gave in to the demands of the audience and narrated his popular dialogues from the movie, Pedarayudu giving the audience a memory of a lifetime to take back home. The ‘Famous Dialogues’ Book of Mohan Babu has a heartfelt foreword written by eminent Tollywood actor and Superstar, Balakirshna. “As it is known to all, My inspiration is my father. After my father, the only other person I look for inspiration, it is Mohan Babu” wrote he, in this earnest note. About a 1000 copies have been printed of this limited edition book of which 200 copies were distributed among the dignitaries present at the book launch event. The other copies of this collectors edition will be sent to eminent people and selected fans. Vishnu Manchu announced that in the month of September, there would be a grand event held in Vizag celebrating the 40 years of Mohan Babu’s Acting career.